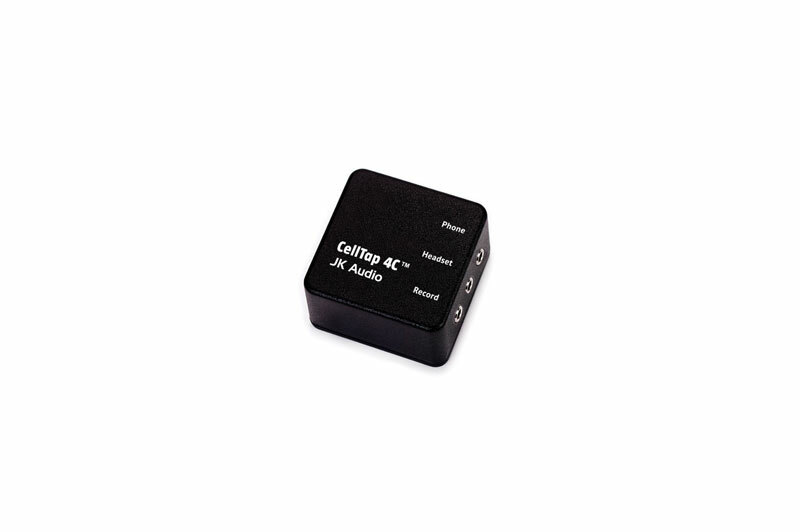 CellTap 4C is an interview-recording adapter that connects between the headset and cell phone, providing stereo output to a recorder or mixer. CellTap 4C™ is compatible with most smart phones, tablets, and notebooks that use the 3.5 mm 4-conductor TRRS headset jack. Simply connect CellTap 4C between your existing ear-bud headset and phone, and then connect the stereo output to a mic level input on your recorder or mixer. The transformer coupled stereo output provides the local mic on the left channel and the caller on the right channel. Local audio is a full bandwidth connection, meaning your voice will sound considerably better than the caller. Of course, audio quality is limited by the quality and placement of the microphone on the ear-bud style headset. CellTap 4C™ will not interfere with headset button controls on most devices. A headset is required for operation, as the phone will not recognize CellTap 4C without a headset connected. The word standard is used loosely, since there are no actual standards for headset wiring or control operation. Therefore, we cannot promise compatibility with every phone.